Having a robust research campus is good for the economy. Commercializing that research is even better, and can solve a lot of problems. We’ve written before about how research on our campus is a problem solver. At the 2015 Life Science Leadership Summit on our campus, the Washington Biotechnology and Biomedical Association (WBBA) hosted industry representatives to talk about what is already happening in the state and in Spokane in regards to life science innovation. Chris Rivera, WBBA’s CEO, said the organization’s members are, “working on mankind’s biggest problems.” WBBA aims to grow Washington’s life science sector. That industry sector, WBBA says, is the fifth-largest in the state. So where does our campus fit in? Being a health sciences campus, our academic and research programs fit nicely into WBBA’s mission. A common theme among the speakers at the Life Science Leadership Summit was “partnerships” and how they help research become commercialized. We currently have a partnership with Providence Health Care to build a clinic on campus. Providence currently has 177 active research studies in areas like cardiology, cystic fibrosis, neuroscience and much more. We also enjoy a partnership with Ignite Northwest, a business accelerator with a presence on our campus. Ignite’s focus right now is on helping biomedical businesses grow and succeed. With a medical school on the horizon, our research capabilities will grow. Our current research is already making waves. As just one example, our Sleep and Performance Research Center has worked with the transportation industry to monitor sleep affects of truck drivers. The impact research has on the economy is immense. 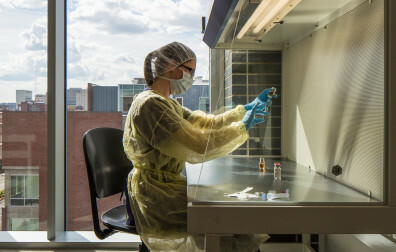 With a growing campus and a growing medical school, partnerships will form and opportunities for commercialized research will allow for our region to thrive.